Freezing your credit report makes it hard for fraudsters to take out loans or other finance in your name. With concerns about data privacy, and the increasing threat of hackers targeting sensitive financial information, it’s more important to use security tools such as a credit freeze than ever before. In this article we will look at the main reasons for freezing your credit file, how to apply a freeze with each of the three US credit agencies, the different laws for applying a credit freeze, and when and how to unfreeze your credit report. 1 Why apply a credit freeze? 2 How does a credit freeze work? 3 What are the costs for placing a credit freeze? 4 Who can apply for a credit freeze? 5 How long will a credit freeze last? 6 What other credit freeze laws do you need to know? Why apply a credit freeze? Applying a credit freeze can stop anyone else taking out credit agreements in your name. The idea of a credit freeze to protect against fraud has been around for a while, but became more mainstream after reports of the massive Equifax data breach in 2017. In the Equifax leak, the data of 150 million users were obtained after a cyber heist on the company’s servers. Information stolen included names and Social Security numbers – exactly the kind of details criminals need to open new lines of credit in your name. Security against fraud is the most common reason for applying a freeze, but it’s not the only one. Some use a credit freeze to help control their spending, and prevent themselves using credit impulsively for new purchases. How does a credit freeze work? Placing a security freeze on your credit file means an identity thief, even one who has your name, address, Social Security number, birth date and more, will not be able to get new loans and credit in your name. That’s because lenders, retailers, utilities and other businesses need access to a credit report to review and approve new credit, loans, and financial services. When you set up a credit freeze you are assigned a unique PIN, or set up with an account with a unique password to your credit file. Without you authorizing the credit bureau to lift the freeze with your unique PIN or password, lenders can’t access your file or open new credit. The credit freeze only blocks new credit lines being opened. Any lenders you have current agreements with including credit card companies, bank loans or store cards will be able to see your credit file. Certain law enforcement agencies and other government bodies can also still access your credit report and score during a credit freeze. You will still be able to use existing credit cards or store cards. Your file and credit score will also be updated with your borrowing and repayment behaviour while the freeze is in place. What are the costs for placing a credit freeze? The 3 major credit reference agencies previously charged a fee for applying a credit freeze, with the cost varying by state. On September 21, 2018 the new Economic Growth, Regulatory Relief, and Consumer Protection Act changed the rules on applying a credit freeze. The three big credit-reporting agencies — Equifax, Experian and TransUnion are now required to offer you a credit freeze, free of charge. Not only will it be free for consumers to freeze their credit, but those who choose to apply a credit freeze can also lift that freeze and reapply it again, as many times as they want for free. Who can apply for a credit freeze? The new law makes it possible for anyone to apply for a credit freeze. Even those under the age of 16 can have their credit files frozen, if parents apply on their behalf. Guardians, conservators, and those with a valid power of attorney can also apply a freeze for their dependants, free of charge. How long will a credit freeze last? In all but 4 states, your credit freeze is kept in place permanently, until you request for the freeze to removed. If you live in one of the above states, your freeze will automatically be removed after 7 years. If you want it to stay in place continuously you can set a digital calendar to remind you to apply the credit freeze 7 years after it has been originally setup. What other credit freeze laws do you need to know? When you apply for a credit freeze, the credit bureau must put it in place within one working day. The credit bureaus must freeze a consumer’s account within 1 hour of a request that is made online or by phone. For requests for a credit freeze placed by certified mail, the agency must place or lift the freeze within three business days. There is no all-in-one option available to freeze your credit with the three separate credit reference agencies, Equifax, Experian, and TransUnion at once. Instead, consumers must apply to each agency individually. If you want a credit freeze to be effective, it’s important to freeze your file at all 3 agencies. Each lender uses different agencies when opening new credit, so you will always be at risk of fraud if you leave any of your 3 files open. 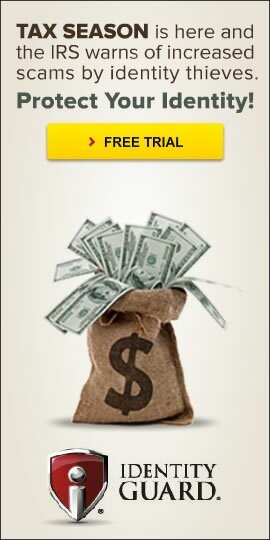 TransUnion also offer an app which can be downloaded from the Apple AppStore or from the Google Play store. Experian: Call 1 888 397 3742 and provide the required information. Equifax: Call (800) 349-9960 and you’ll need to give your Social Security number, street address and state of residence. Your PIN will be mailed to you. It is worth keeping in mind that all 3 credit bureaus may experience high call volumes and long phone waiting times after major data breaches. The requirements to apply a credit freeze by certified mail are listed below. You may want to reopen your credit file at some point, in order to apply for a new finance such as a mortgage, car loan or a credit card. Just like when applying, there is no way to remove a freeze from all 3 credit bureaus at once, so you will have to contact each of them individually to thaw your file, unless you know which credit bureau a creditor is going to be using and you can then thaw just that one. Permanently lifting a credit freeze is also an option, but it’s unlikely to be necessary and would leave your credit file open to fraud.